Who would you be if you lost everything? Hollye Dexter and her husband Troy woke one night to find their house ablaze. To escape the fire, they had to jump from their second-story window with their toddler son--and then watch their house and home-based businesses burn to the ground. Over the next two years, the family went bankrupt, lost their cars and another home, and got dropped by their best friends. As the outer layers of her life were stripped away, Dexter began to unravel emotionally; but then she found herself on the brink of losing her marriage, and she realized that if she was going to save her family, she would have to pull herself back together somehow. As she fought to reassemble the pieces of the life she'd had, Dexter discovered that a shattered heart has the ability to regenerate in a mighty way; that even in the midst of disaster, you can find your place; and that when everything you identify with is gone, you are free to discover who you really are. 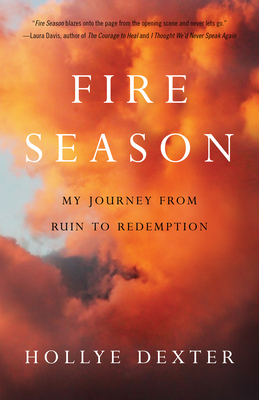 Poignant and inspiring, Fire Season is a story for anyone who has ever lost hope--and found it again.